Today we are meeting Ariel. Ariel is from Greece and has lived in Indonesia for the past three years. 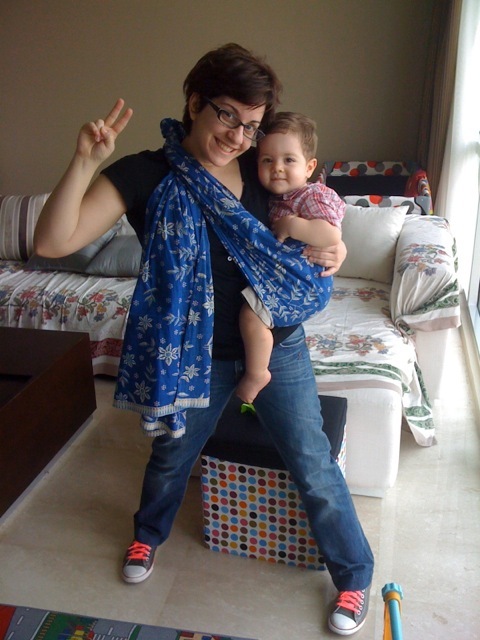 She is is a fabulous expat mom who talks about motherhood abroad and documents her adventures in Handy Mommy by Ariel. Check out her posts on breastfeeding babies in a Muslim country and the controversies behind vaccinations. So, here’s Ariel’s Fabulous Jakartan Friday Interview. I was born and grew up in a small town near Athens, Greece. I studied Communication, Media and Culture in Athens and in 2009, after I’ve acquired my degree, followed Chris, my puzzle-piece (yes, husband) in Kalimantan Indonesia. Since Georgie joined the family we decided that life in Kalimantan is a bit tough for expats with kids and here we are in the “Big Durian” since late March 2012. Yes, Indonesia is my first post abroad. As I mentioned before I used to live in Kalimantan (Banjarmasin and Pontianak) for almost two years. So, Jakarta is a leap forward to me. I do remember myself though going through a culture shock. The language, the way people behave, the traffic, the pollution, the mosques, the hot and humid climate, and the spicy food. Everything was different compared to life in Greece. Once we landed in Banjarmasin, and reached the hotel it took me 2 months to go to the mall nearby without my husband. 3. I love your blog Handy Mommy! Why did you decide to start a blog? What’s the best thing that has come from blogging? Let’s be honest. Money and money. (I can think of better places to be happy(er) and “thrive” in). The traffic. (On a second thought, the “unavoidable” nasi goreng kampong, is also ok after a long flight from your home country). Have a ticket for the way back. 1. What has been your biggest challenge to raise a kid in Jakarta? Raising kids is challenging enough regardless of geographic location. Now, whether in Jakarta or Hanoi, I don’t think it makes a big difference. It’s easier here. (Just don’t forget to employ four different maids –per child that is. The idea is to do as the Romans in Rome). 3. What’s your favorite activity to do with your boy while in Jakarta? Spend six hours in a car, six hours at some mall, six hours to go back home, three hours thinking what you should do tomorrow and hopefully three hours asleep. Playground: How many playgrounds have you seen around???? Clothing Stores: Bypassing the fact that they all look the same, Lippo Mall Kemang, has to be the one for me. We live right next door. So save six hours in a cab. Toy Stores: Georgie likes all Toy Stores. There is at least one at each mall. Maratua island off East Kalimantan. Stay calm, fasten your seatbelts, enjoy the ride and carry an umbrella. Something less touristy? 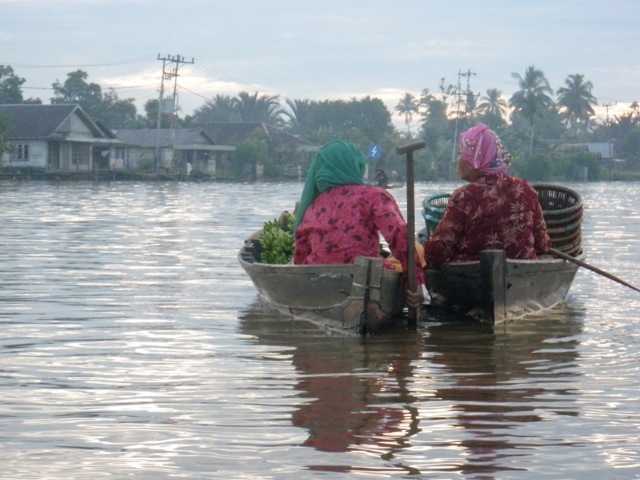 Floating market at Lok Baintan perhaps…? Paulaner Brauhaus (Yes, that is a German Restaurant). 3. You are from Greece, have you found a good Greek restaurant in Jakarta? Pleaseee tel us all about it! There are currently nine Greeks living in Jakarta permanently. Obviously a bit difficult for a Greek restaurant to survive. However, I have heard of one that is called “HaloNiko” in Jl. Warung Buncit, South Jakarta. Will try it out and come back to you. Each region has its own special dish. I recommend start with the basics. Nasi goreng and mie ayam jamur to begin with. 5. Could you share a short and sweet recipe for an authentic Greek dish that is easy to make with ingredients found in Jakarta. Enjoy your quick and easy as well as healthy Greek Salad with some freshly baked, crusty bread. Thank you Ariel for agreeing to do the interview!!!!! See you soon!!! just for the information there are already 2 Greek restaurants which open 2 months ago. the names: yamas and el greco. I’ve been meaning to write for awhile now that I absolutely love the idea of this series and te first two interviews have been fantastic! Your questions are great and the women you’ve featured are so interesting! Can’t wait to read more of this series! It has been fun so far! I have learned a lot about Jakarta and about how different we all truly are! I hope to keep getting fun people to contribute to this little series! Hi Ana ! I found your blog accidentally by blog-walking. Being Indonesian who married american, spend most of my life outside Indonesia and has to experience some of reverse cultural shock is no fun at all. I feel estranged with my native country (which people find it weird/judged me by being a snobs) nor i feel that i belonged in American expat community. LOL. 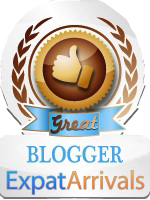 i dont have a blog but for sure to leave a comment on your blog. Keep on writing !! Hi Sherly! Thanks for stopping by and leaving a comment. Your words are so encouraging and I thank you for that. It’s very easy to become biased that’s why I’m trying to get different perspectives on life in Jakarta! I bet it is difficult to fit in. I totally get you since sometimes when I go back to Mexico I don’t feel like I completely fit in but then again I’m not always compatible with the american expats either. I think I’m just a different breed! hahaah I would love to hear more from you and have you comment more in the blog. If ever you feel like hanging out or anything send me an email! Take care!! ANd again, thanks for all your wonderful comments! Definitely ! Having coffee break or brunch sounds good. i don’t know how busy your weekly schedule are, considering 2 boys and all. I will drop you an email. Where do i find your email address at? Hey Sherly! My email is stumbleabroad@gmail.com Send me an email and we can plan something! Take care! Bravo to live in Kalimantan, I miss the simple life up there tho. Will have to check out your blog. Thanks, but all the credit goes to Ariel. She’s a great lady! Hi Ana, how can i contact the mommies whom you interviewed? Do they have an email address that you can include in your interview? Hi Adeline, nice to hear from you again. I don’t feel comfortable publishing their emails because I wang to respect their privacy. Some of them have blogs or websites with their information. I have their links in the interviews. If you need further information send me an email with the names of the contacts you would like and after I check with them I can pass on their info to you. Cheers! Seeing Jakarta in different point of view! Nice interview Ana! Ariel, now i’m thinking to ask Niko to move to Kalimantan hahaha… Miss you and George! Thanks for visiting Rika! It is always insightful to get to know other people’s Jakarta! I bet Ariel misses Kalimantan, too.